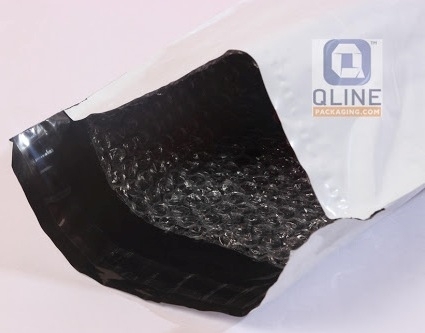 Qline security bubble bags come with all the features of security bag or tamper evident bags based on clients requirements with additional bubble layer inside to give cushion to your products .it can be used for semi fragile items. Standard sizes available. Electronics ( mobiles, pen drives ).